Ensure that there is a “prep leader” who will be making the key decisions during the prep. In order to make efficient use of the time given, the team will need to make crucial decisions on the stance to be taken by the team, the arguments to be raised and the definitions to be applied to the motion. In these circumstance, a prep leader (the captain or otherwise) should be present to make these critical decisions. 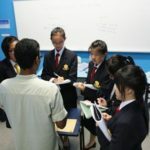 In the absence of a prep leader, the team could end up waste time arguing matters without resolution and consequently run poorly constructed arguments. Appoint a timer to time the prep and to remind the rest of the time remaining during the session. The timer will thus speed up the prep process if it is lagging and will also remind the speakers of the remaining tasks. For instance, with 10 minutes remaining in the prep, the timer may wish to remind the speakers that they should start practicing the delivery of their speeches. The team may wish to take the following steps during the short prep session prior to the debates. Let’s look closer at what each of above steps will entail, together with a recommendation on how much time each step should take within a prep session lasting 60 minutes. a. Brainstorm (2-3 minutes): During this session, all team members should silently and independently think of the various arguments the team canrun to address the motion and list them down. Team members may also wish to note down major examples which could be used in conjunction with the arguments. Team members should try to think of as many different arguments from as many different angles as possible to maximize the options for the team. i. Tip: For a motion which appears straightforward, the teams may proceed to brainstorm straightaway. For motions which are ambiguous, the prep leader should clarify the issues prior to the brainstorm in order to avoid having all the speakers think in different directions. For instance, for the motion “THW go green,” one speaker could be thinking of environmental issues, another will be thinking of the green party in politics, a third could be thinking of Islam and a fourth could be thinking of money and the greenback. Thus, the prep leader should signal to the team on what the stance is, e.g., this will be an environmental debate, prior to the download. b. Download (5 minutes): During the download, the speakers take turns to read out the arguments and examples generated while the rest writes them down. The speaker should at least explain the core argument behind each point without going into too much detail. This will go around the table until everyone has contributed. Speakers should take note of the following Dos and Don’ts for this step. i. Do take down every argument, no matter what you feel about it. If the point is weak, it can be discarded during the selection process. ii. Don’t start to rebut these arguments during the download. Avoid interjecting with objections such as “what if the opponents say this?” Chances are, all of these arguments can be rebutted. But if the speakers destroy these arguments during download, the team will have no arguments left to run during the debate itself! iii. Do add important details to a point already raised by a previous speaker if needed. For instance, to the first downloader’s argument that “we will go green to ensure food supply security,” a second downloader could add key examples such as the Green Revolution in India. iv. Don’t repeat a point if it has already been raised. If previous speakers had already raised a certain point, it wastes valuable time to raise it again. If the last speaker in the download has nothing left to add, then so be it. c. Selection (5 minutes): By now, the team should have a list of potential arguments that could be used during the debate. The team should now make the decision on which arguments will be used, which will be discarded and how the deployed arguments will be assigned to the two substative speakers. The selection process may vary from team to team. Some teams may prefer to let the First and Second speakers decide which points they prefer. Other teams may have the captain or the prep leader make the decision on how the points should be grouped and assigned. i. Do come up with the definitions even when the team is in opposition, especially if motion appears ambiguous. This will allow the team to know straight away if the proposition’s own definition can be accepted or challenged. It will also make it easier to provide the alternate set of definitions during a definitional challenge. ii. Don’t leave the job of developing the definitions to just one speaker. This could lead to the rest of the team not being on the same page and potentially leading to contradictions during the debate. iii. Do consider doing the definitions before the arguments if the situation calls for it. For some ambiguous or complicated motions, it may help to establish the definitions before the arguments are developed and selected. My personal preference is to give priority to developing the arguments since these will be the back bone of the case during the debate. iv. Don’t blindly re-use definitions from previous debates. Small changes in phrasing could lead to large differences in meaning and understanding. e. Writing the arguments(15 minutes): During this step, the speakers should focus on writing out the arguments onto the cards/books which will be used during the debate. During this period, the Third Speaker may wish to consider the arguments and examples which are likely to be used by the opponents and prepare some responses which could be used accordingly. The reserve speakers can assist any of the floor speakers who may need assistance. f. Sharing of rebuttals (5 minutes): During this step, the Third Speaker can brief the team on the key arguments likely to be raised by the opponents and ensure that all three speakers are aware of the potential responses that could be provided.This step will also prepare the Debaters for the opponents’ POIs. g. Delivery Practice (remaining time): All the speakers should practise the delivery of their arguments within the prep session. Ideally, a teammate should be listening to these deliveries and providing feedback on how the speeches could be improved. This will allow the speakers to make the necessary adjustments to make the speeches clearer and more effective. This session will also allow the rest of the team to know exactly how the speech will be delivered, ensuring that they are not caught by surprise later on. An added benefit is that the speaker will gain more confidence for the actual debate since the speech has already been delivered in practice. Tip 1 – Prep for Prep : The above steps are only meant to be a guide to the 60 minute preparation session. Teams should exercise the flexibility to make the necessary changes to their own preparation sessions to better suit their needs. For instance, certain steps can be swiched around and the time allocated to each step can be altered. To have the best prep sessions, teams should prep for prep! This means that the team members should spend time developing their own prep procedure through discussion and through trial and error in practice debates. This will allow speakers to give feedback on the various steps and make adjustments accordingly. For instance, some speakers may need more time for the practice delivery while others may need more time to be given for the selection of the cases or for definitional issues. The best approach is for the team members to share their concerns with each other and to adjust the steps accordingly to make the best use of the 60 minutes. Tip 2: The prep leader of the captain may also wish to keep a checklist of the steps to be taken during the prep to keep track of the session and to ensure that nothing has been left out. Tip 3: The one hour prep session is also a useful tool even when teams have been given a longer period of time (1 week or longer) to prepare for the motions. 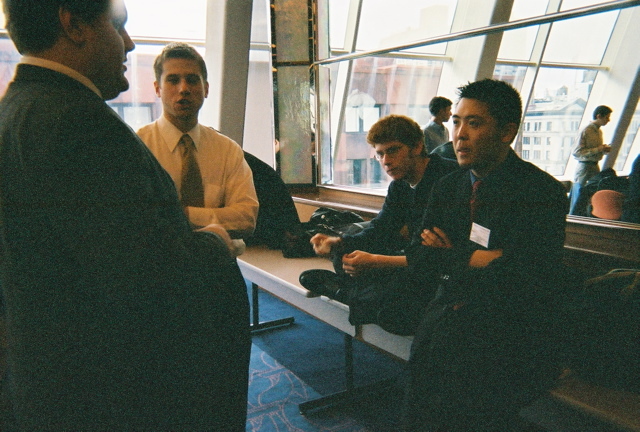 By using the one hour prep session early, the teams can establish the key lines of argument for the debate quickly. The rest of the time and days remaining can be spent on refining the arguments and researching for better examples.